Search engine optimization is a digital marketing technique which is used to ensure that the business pages of the website are appearing top in the google search results for a keyword entered by the customer in the search interface. 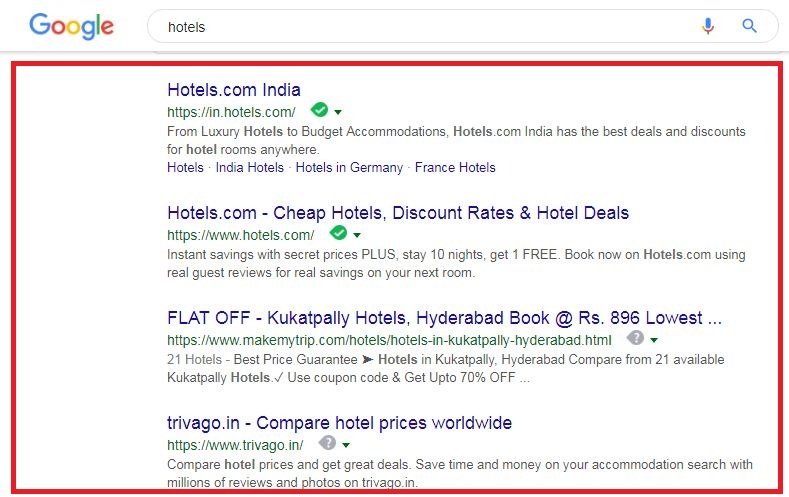 Search engine result page (SERP) : SERP is a result page where you see the list of all the results, results of the keyword which you have typed in a search bar, results will be inorganic/ paid or advertisements and organic/ unpaid, the unpaid or organic results are the actual search engine results. Once the website is developed, we have to hand over the directory files of the website to Google by using google webmaster tool, (google webmaster tool helps you to identify issues within your site and can even let you know if it has been infected with malware or not), then google sends a program called spider crawler, the role of the spider crawler is to crawl each and every page and it downloads the page’s information in a storage unit called as DSU or data storage unit. 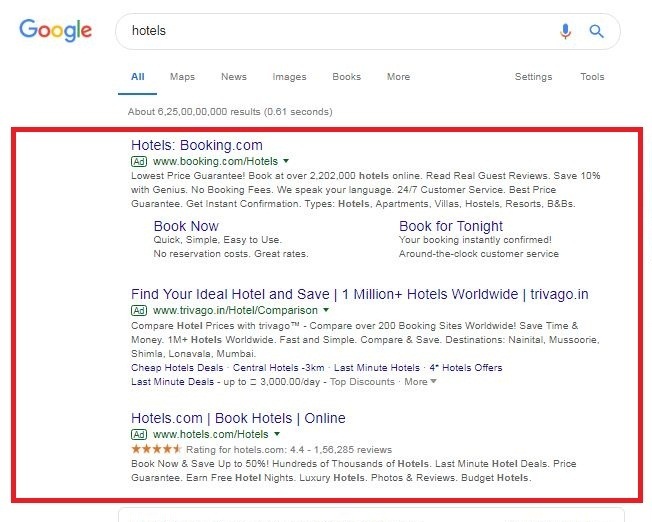 Then the stored information goes to “indexer”, the indexer is the next step after spider crawler, indexer segregates the content of the website topic-wise, and it will show the selected results on SERP, indexing implies that the page is qualified to appear in Google’s indexed lists. The whole process is automated by Google internally, and when you type some keyword on google, you will get the results on SERP. 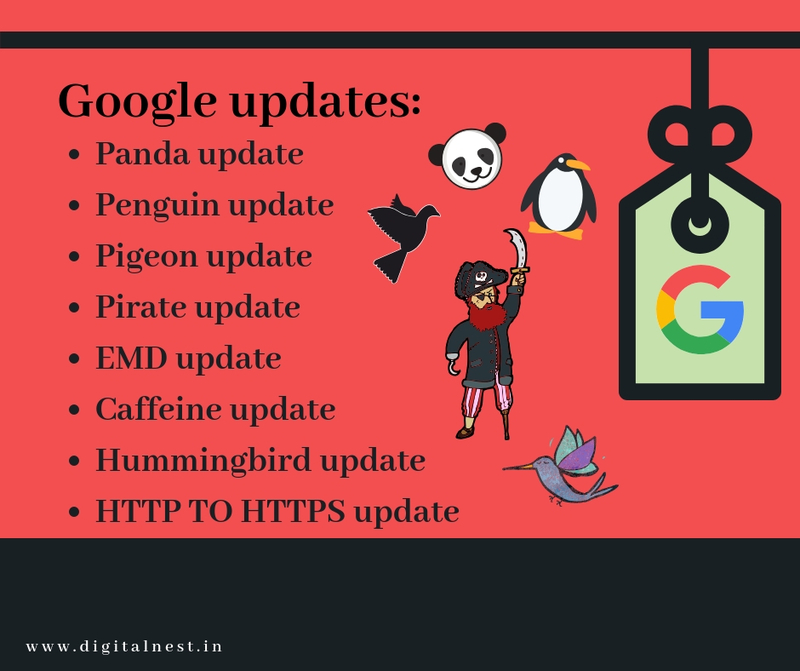 By using google updates we can increase the ranking of our site. 1. Panda update: You should not copy content, club together the content of several websites or write duplicate content. The content should be of minimum 350 words in each web page. Write by keeping the user in the mind, never write for the crawler. 2. Penguin update: You should not add spam links to your website. Only add links which are relevant. 3. Pigeon update: The Search Engine Results Page (SERP) results will be based on our location (IP). SEO ranking will improve due to the results from local search engines and local portals such as Justdial and Sulekha. Whether it is images, graphics, text, audios or videos, you should not add copyrighted content to your website. Even if you want to add copyrighted content you must give credit. 5. EMD update: EMD stands for Exact Match Domain. According to this update, you cannot purchase domains which are an exact match to a keyword. Even if you do buy such a domain you can not link that website to your main website to increase traffic, it should be an independent website. It should contain a minimum of five web pages. 6. Caffeine update: This update provides results based on the keywords on the Search Engine Results Page (SERP). 7. Hummingbird update: This update provides results based on an entire phrase and the relevant synonyms of a keyword. 8. HTTP TO HTTPS update: if it is https then the data will be encrypted, it is highly secured, if you want to make your site secured or want to convert http into https then you have to take SSL certificate from the hosting provider. Keyword analysis: Brainstorm for keywords and use google keyword planner or any other keyword tool. Title optimization: target keyword should be there in the title, characters should not exceed 60 characters. URL: target keywords should be there in the URL, it should not be too long. Meta description: character limit 150-160 characters, write a focused keyword in the first line, try to start the description with the keyword. 2. Heading optimization: (H1 tag optimization) only one H1 tag is permitted per page, H1 tag once used cannot be used again, sub-headings H2, H3, H4 can be repeated, at least one keyword should be present in heading. 3. Content optimization: Keywords should only be 2% of your whole content. 4. Anchor linking: This involves giving internal links on your web page and giving hyperlinks in your site. 5. Embedding a video: Create the video and upload it on youtube, then embed that video on your website. 6. Social share buttons: Social share buttons will help the user share your content on social media websites like Facebook, LinkedIn, Pinterest and so on. 7. Image optimization: The website should consist of minimum one image. 8. Footer optimization: Short description of company with important keywords, full address, Email Id, phone number, social share buttons. 4. 301 & 302 URL redirection. Off-page optimization: Off-page optimization boosts the search engine ranking by fetching external links that will mention the page and bring it to the attention of the users. Directory Submission: getting backlinks from other sites. Classified Submission: check the classifieds website relevant to our websites and post links in it, e.g: Olx.in, quikr.com, locanto.com etc. Email Marketing: Directly marketing a commercial message by sending emails to a group of people. Video/Audio Submission: Create a page on Youtube, Dailymotion, Vimeo and upload video or audio. Image/Photo Submission: Create profiles on Instagram, Pinterest, Flickr and upload images. Press Release: Do press releases in, famous online magazines. So this was all about search engine optimization, there are many private institutions who provide complete digital marketing course, people always think that digital marketing is all about SEO, but this is completely not true, SEO is just a major topic which comes under digital marketing, it is a technique of doing digital marketing, but digital marketing is not only about search engine optimization, to learn complete advance digital marketing you can enroll yourself in any digital marketing classes, to learn more about digital marketing click here.